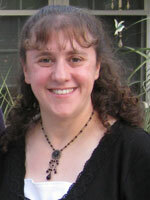 Lisa Weinshanker, M.A. earned a Masters Degree in Clinical Psychology at Wayne State University. She trained at several facilities in the Metropolitan Detroit area, including the Veterans Administration Medical Center in Allen Park, Hawthorn Center in Northville and The Children’s Center in Detroit. Ms. Weinshanker’s clinical experience includes extensive work in conducting assessments with patients of all ages. At Renee Applebaum, Ph.D., P.C., Ms. Weinshanker works as a Psychometrician, which involves administration and scoring of comprehensive neuropsychological test batteries.